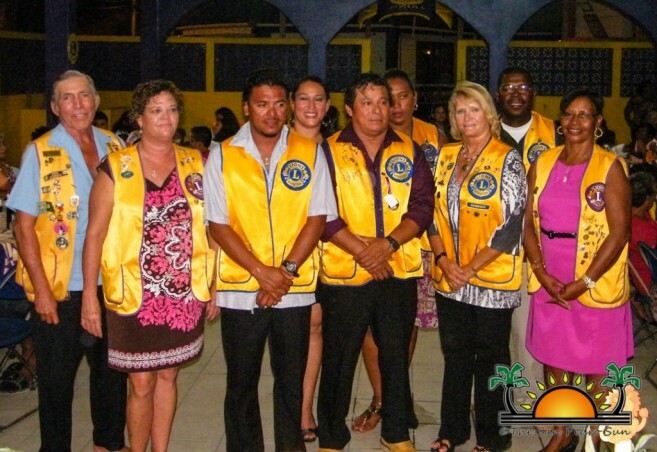 A formal ceremony was held on Saturday, July 6th at the Lion’s Den to install the San Pedro Lions Club’s new Board of Directors for the year 2013-2014. Presiding over the event was Lion Alberto Mahler. The evening commenced with formalities as Claudio Azueta led the invocation. Giving the welcome address was Fatima Graniel, who invited outgoing president Mel Spain to deliver her final remarks as 2012-2013 Lion’s president. Marina Kay moved on with the installation of the San Pedro Leo’s Club 2013-2014 Board of Directors. The Leo’s stand for leadership, experience and opportunity among the youths of San Pedro, and the new Board of Directors are: Cesar Cordova as President, Zeli Lisbey as Vice President, Alyssa Munoz as Treasurer, Vivel Rodriquez as Secretary, Christopher Melgar as Membership Director, Solani Graniel as first year Director, Odali Duran as second year Director, Amir Marin as third year Director and Afri Black as Tail Twister. Lion Pedro Salazar, Past District Governor, had the distinct pleasure of installing the 2013-2014 Board of Directors. The duties for the chosen directors were read as a reminder of the important task they accepted in leading the club. The 2013-2014 Board of Directors of the San Pedro Lions Club consists of the following: President Rigoberto Kumul, Vice President Rueben Trejo, Secretary Bonnie Musbach, Treasurer Abel Guerrero, Membership Director Melanie Paz, Lion Tamer Fatima Graniel, first year Director Enes Anderson, second year Director Everette Anderson, third year Director Baldemar Graniel and Tail Twister Mel Spain. Immediately after the installation ceremony, the newly inducted Lion President Rigoberto Kumul gave his incoming president’s remarks. Lion Baldemar Graniel followed with the final vote of thanks for the night. After that, it was time to ROAR approval (a Lions tradition), followed by the traditional Lions’ theme song. Of course, after an enthusiastic rendition of the Lions Song, it was most definitely time for a grand celebration! 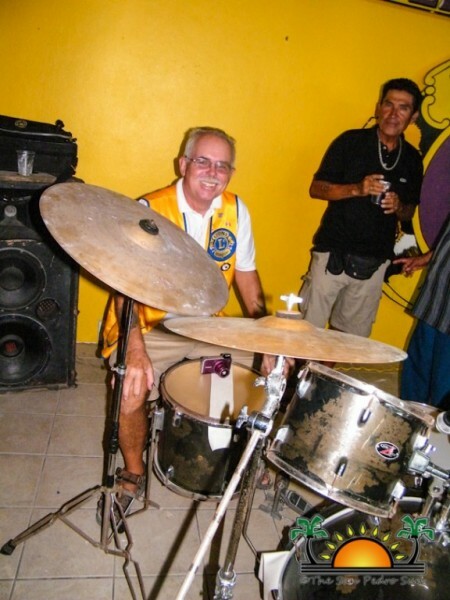 With visitors from Belmopan and San Estevan’s Lions Club, there was much merry-making, delicious food and drinks, and the inimitable Rompe Raja band striking up their unique sounds. The party was on until the wee hours of the morning of Sunday. Later on Sunday July 7th, Lions from all over the country met in a special Cabinet meeting where an official ceremony was held to appoint the new Zone 59 Chairman for 2013-2014. Lion Melanie Paz was installed as the Chairperson, and she will be presiding over the Belize Zone 59.Other Zone 59 board members include Marisol Melado – Vice Chairperson, Bonnie Musbach – Secretary/Treasurer, John Wongsam - Chairman for Council of Governors and all Presidents and Secretaries of each Club. The San Pedro Sun congratulates the new members of the various boards and wishes them a fruitful year in term.